We're so excited when a client calls and asks for finishing touches! We love taking the house someone has and adding those finishing touches that will make it their home! A call came for a large 4 bedroom house and we were on our way. With budget in mind, of course we went to HomeGoods! Six shopping carts later (thank you HomeGoods for helping us load the truck), we were ready to add those special accents to create the home our clients wanted. We kept it simple in the dining room. A textured cotton runner and symmetrically arranged topiary plants accent the table. The wall was blank. We have started a mirror wall with these fabulous mirrors from HomeGoods. We will be adding more mirrors to this collection but for now it's a good start. This living room is shared with the dining room. Keeping it with the same color palette, we shopped HomeGoods for accessories. This amazing coffee table is the result! We decorated it with all these fabulous textured items. Sometimes the smallest vignette can make the biggest impact in a room. 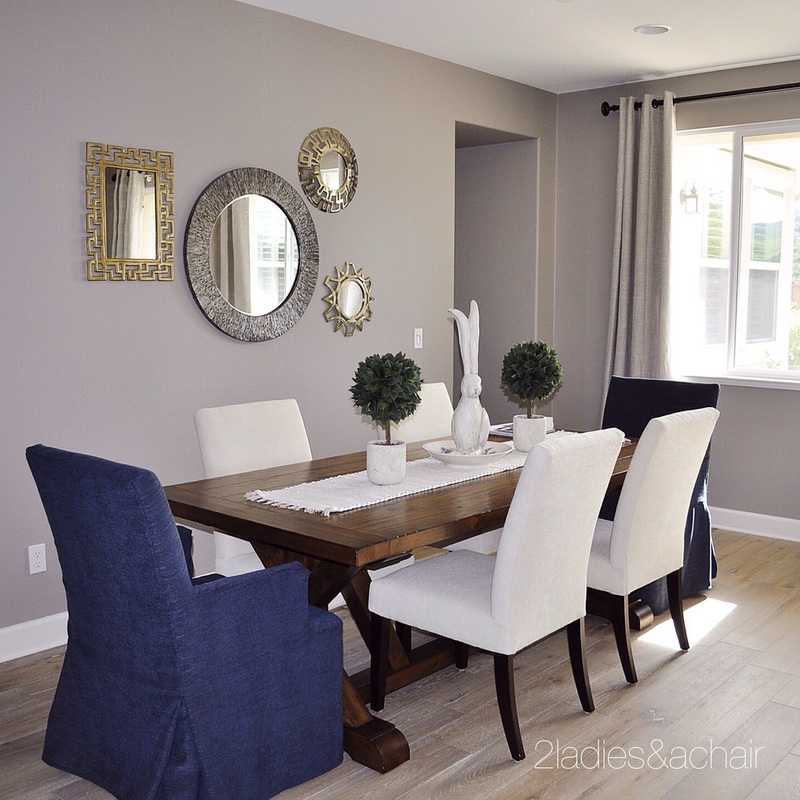 Our client's family room was beautiful with gorgeous furniture. There was an empty corner and not much excitement on the sectional sofa. 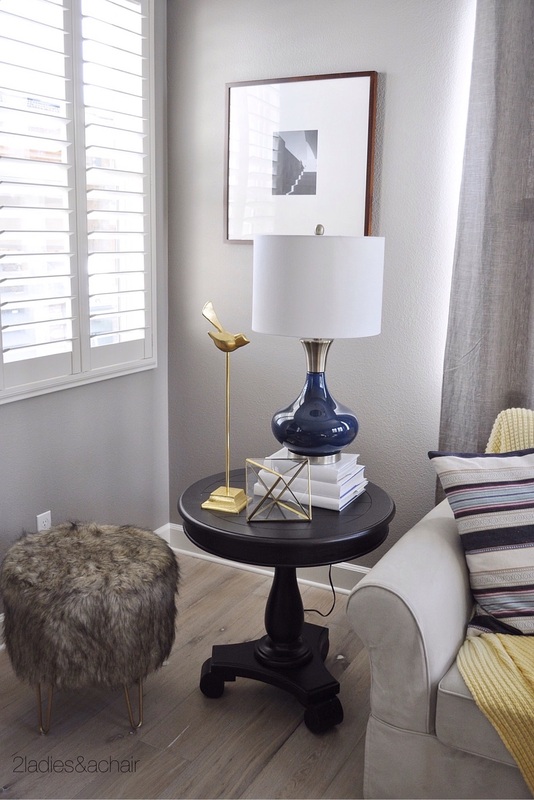 This adorable side table vignette we created is all from HomeGoods! The perfect black round side table was just what this space needed! When we saw the lamp we new it was the perfect pop of color this corner was lacking. We love to add gold wherever we are. The bird on a stick and glass terrarium are great accessories. The yellow throw adds mellow color to the sofa and the basket brings in more texture. We love this practical desk for a young girl's room. 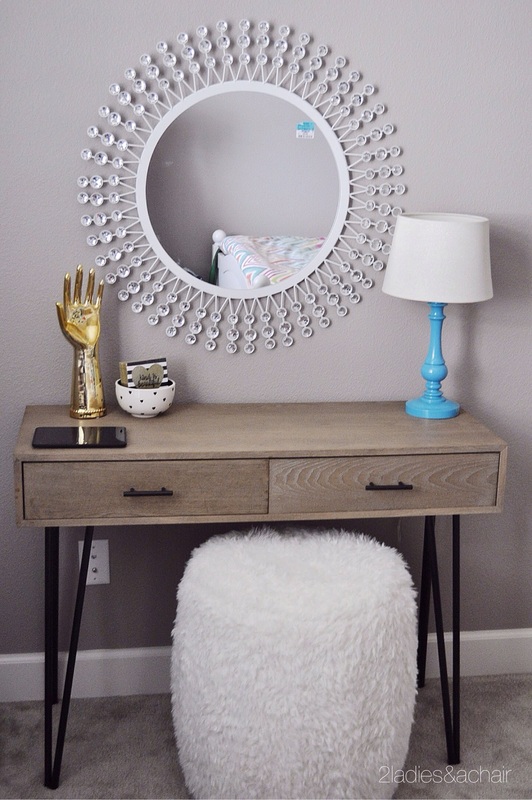 The gold hand and fluffy ottoman are the perfect accents that a soon to be teen loves. Here is a perfect vingette for the wall that has electrical instruments. This pretty setting brings personality to an otherwise blank wall. This wall is in the master bedroom so this set of drawers from HomeGoods was the exact piece needed to soften this wall! We originally bought this mirror for the dining room but it looks so beautiful here! 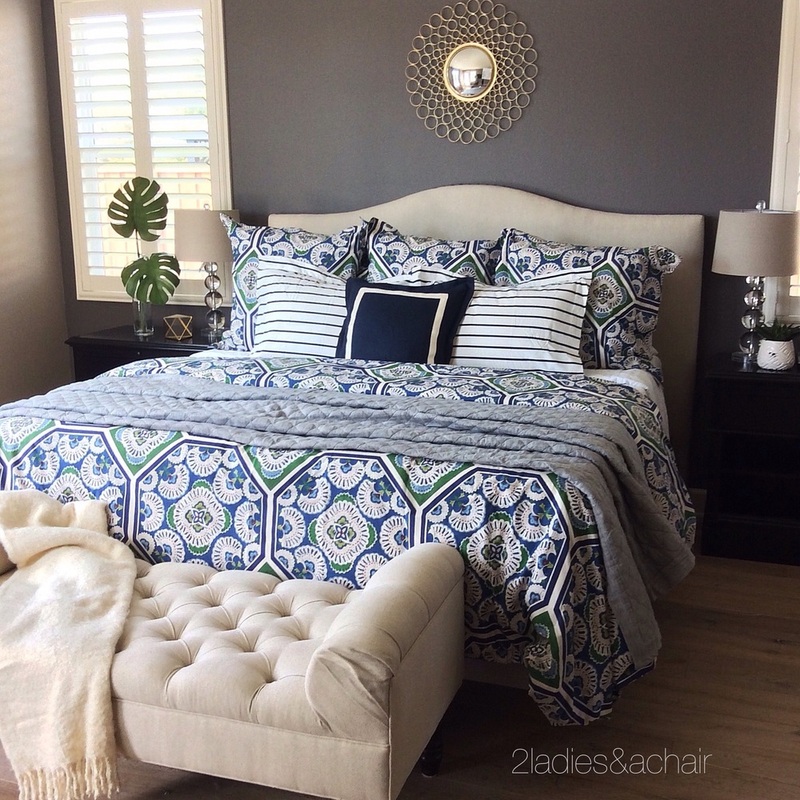 Finishing touches can make such a difference in personalizing your home! Have fun with it!